I’m a Conservative – Get me in to here! Sent to me last night by a friend – Wickedly funny…. Meanwhile in the Australian jungle /Westminster jingle (kerching!)……. I’m a Conservative… Get Me into Here! I’m a Conservative… Get Me into Here! is a reality television game show series in which 645 MP’s gather together in a jungle/ jingle (kerching!) environment next to the Thames for a few weeks every year. They have basic luxuries (taxis, security, bar tabs, duck houses, mortgage payments made for them, and then rent property to each other) and compete to be crowned king or queen of the expenses claim sheet. The Celebrities MP’s and their friends have to make camp in a supposedly hostile environment, however it is an open secret that their safety is assured at all times by highly trained plebs, the plebs are on duty 24/7 around the camp perimeter ensuring the MP’s are not bothered and are safe from contact with possible hostile native species, this genus (plural: genera) are known as general public, many of the sub groups of the general public family are known to be hostile to the disruption caused to their habitat and well-being by actions of the current occupants of the jungle/ jingle (kerching!). The plebs tasked with guarding the contestants are trained in blending in with the surroundings, so much that the contestants are not even aware of their existence until they need help and assistance, after any emergency the plebs become unnoticed and unneeded again, all highly professional. This years competition is no different to any other, there will be jungle/ jingle (kerching!) trials, it is rumoured the most high profile female MP to take part has abandoned the whip and took her own instead, and is highly likely to win a trial eating the raw testicles of a highly plumed ostrich either from Cameroon or called Cameroon (full details not yet released). Other trials will include the OZ-BURN where contestants destroy tax returns from big donor corporations to placate donors and policy, and strategy games where contestants have to think of as many ways as possible of alienating constituents. This entry was posted in General, National Events, Uncategorized and tagged I'm a celebrity, jungle, Louise Mensch, Nadine Dorries, Plebs. 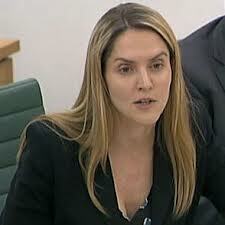 The picture is Louise Mensch?? but the ‘ i’m a nonentity, get me in there’ is Nadine Somethingorother. Easy mistakes as turds do look similar.